Honeysuckle is a flowering plant that is commonly found growing along walls or forming hedges which, if given suitable support, can reach heights of 20ft. It has light green oval leaves, which sometimes merge across the stem rather than growing in pairs one on each side. The pink-tinged creamy-white flowers grow in pairs and are basically tubular with diverging lips. The color of the flowers can vary, but some species produce yellow-orange or yellow-white colors. The flowers and leaves are gathered in summer just before the flowers open. Honeysuckle is native to southern Europe, China and Japan. Part Used: The stems, leaves and flowers of some honeysuckle species can be eaten or used medicinally. Nutrient Content: Honeysuckle contains calcium, magnesium, potassium, vitamin C, Rutin, a nutrient that enhances the effectiveness of vitamin C, and Quercetin, an acid that fights free radicals. In addition, honeysuckle flower contains inositol, volatile oil, flavone, etc. The flowers can be infused to create a hot tea that can operate as an expectorant. Honeysuckle is often combined with other herbs,including cowslip & mulberry to create a healing tea that is used to treat coughs & mild symptoms of asthma. Honeysuckle tea is used to ease sore joints and reduce inflammation. Honeysuckle tea helps improve circulation and relieve fatigue. Honeysuckle tea is used to treat upper respiratory tract infections and infection in the bladder. 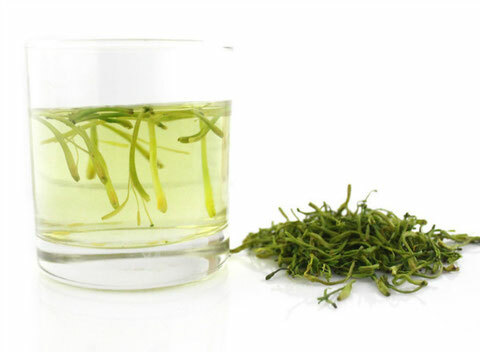 The tea is said to inhibit the bacteria that causes salmonella, strep, staph and tuberculosis infections. 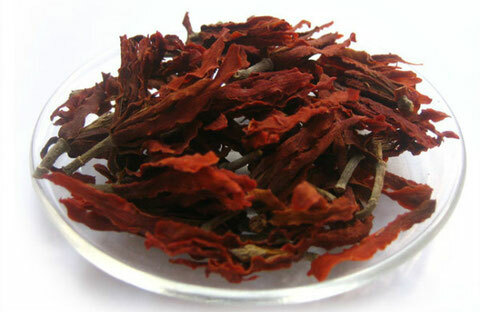 •Honeysuckle tea can help alleviate headaches. 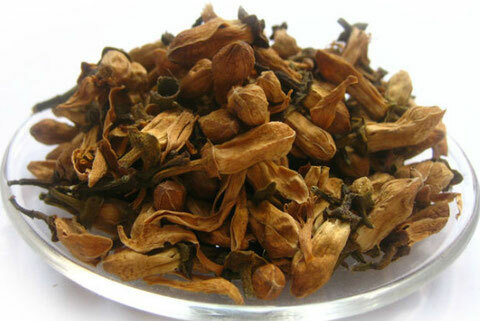 •Honeysuckle tea can help treat nausea and vomiting. •Honeysuckle tea can help make eyes brighter.